That was the question one little girl asked her gamer dad while they played Donkey Kong together. The next day, after a marathon hacking session, the dad created Donkey Kong: Pauline Edition, where the Princess (Pauline) must save Mario from the clutches of Donkey Kong. 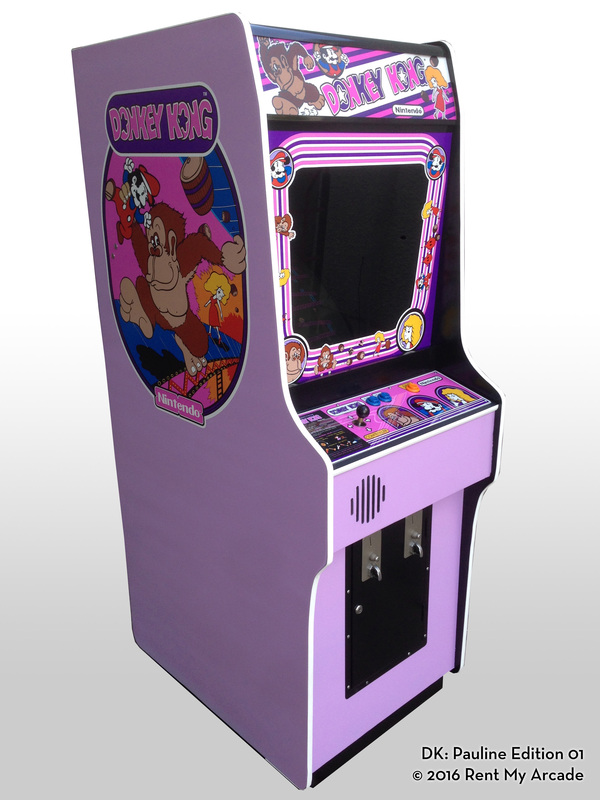 The arcade community liked the idea so much, they ported his game onto the original Donkey Kong hardware and created new graphics for the cabinet. And because we liked the idea so much, we built our own. And now you can play it at home. To learn more about the dad behind Pauline Edition, you can read the Wired article. To learn more about D2K, check out this nice review.